Recently Afghanistan recorded its first win in test cricket in their second test match against Ireland after acquiring test status in 2018 from International Cricket Council. It was also the second test match for Ireland who registered their second consecutive loss after losing inaugural test match to Pakistan last year. 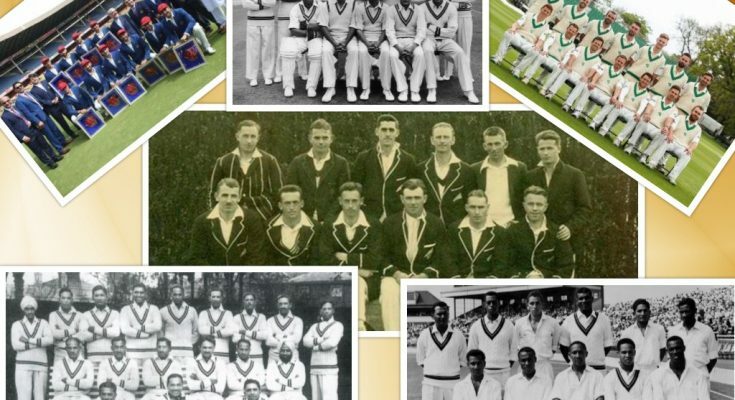 In this article we have a look at cricketing history with which team get the test status when and how long a team had to wait for taste of success in test cricket. England being known for being the inventors of the game it was 1877 England & Australia when both teams played first ever official test match. So both the teams are the first one’s to have received this distinction of test playing nations.Australia didn’t have to wait for first victory as they beat England in inaugural test match by 45 runs and also became the first winner in test cricket. England didn’t take long to register its first win either when they beat Australia in very next test match by 4 wickets to register their first win in test cricket.Both the teams went on to become the great teams as they produced world class cricketers. For Australia Likes of Donald Bradman, Shane Warne, Dennis Lille, Chappel Brothers and many others who have graced the game. For England they surfaced the talented players like Ian Botham, Graham Gooch, Len Hutton, W G Grace, Wally Hammond, Jack Hobbs and the list goes on. It took 12 years for World cricket to have witness a new test nation to compete against Australia & England when in 1889 South Africa have been inducted in ICC’s test playing list. But the early results didn’t showed great signs for this new team as it took 17 years & 11 test matches for Proteas to register their first ever test win against England in 1906. South Africa cricketing history has so many twist when they have been banned from playing international cricket for 22 years due to racism. South Africa have also unearthed some great talents Barry Richards, Greame Pollock, Mike Proctor, Allan Donald, Jacques Kallis, Greame Smith and many others. 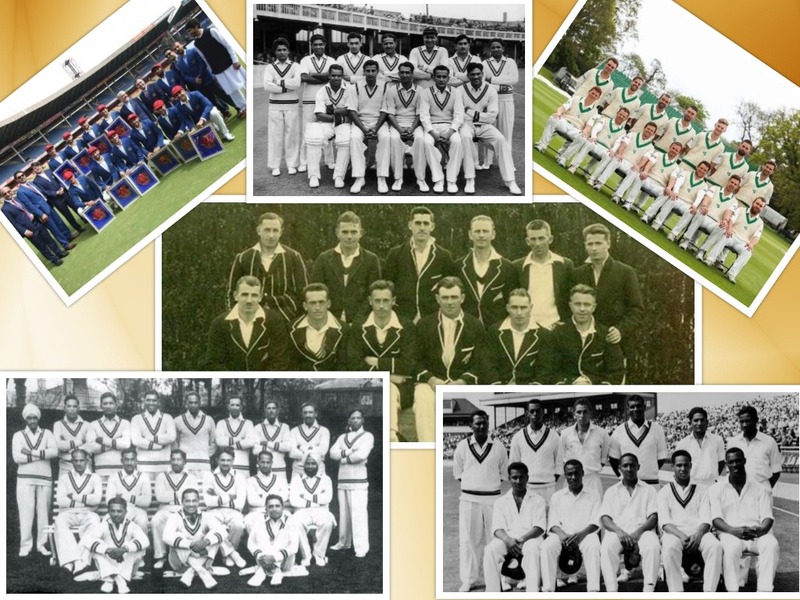 West Indies became the 4th test playing nation in 1928 when they played their first test against England in Lords. West Indies also lost its first test match and it was their fifth test match in 1930 against England which gave them their first taste of success at international level. West Indies have always had the quality players I their lineup which have made them one of brutal force during 20th century. Garry Sobers, Clive Lloyd, Clyde Walcott, Frank Worell, Everton Weekes, George Headly, Viv Richards, Brian Lara, Marshal, Walsh, Holding etc etc. New Zealand enlisted as 5th country to play test cricket in 1930. Like all other test playing nations till 1930, New Zealand also played its first test vs England. It was extreme struggle for New Zealands against the already established test playing nations as they have to wait till 1956 to record their first test win. It was in their 42nd test when they defeated West Indies under John Reid. With the passage of time New Zealand has established as team with credibility but not with great results in test cricket. They have showcased talents like Richard Hadlee, Daniel Vettori, Stephen Fleming, martin Crowe, John Reid and others to be remembered in cricket field. Pakistan became the 7th test playing nation when they toured neighboring India in 1952 to register their first ever test match. It was for the first time that a newly inducted side didn’t play its first test against England. Pakistan lost the first test match but return the favors in very next match when they beat India and taste the success as soon as in their second outing in test cricket. Become only the third team after Australia & England to taste the success so early. Pakistan have also portrayed great talent and skills over the years with likes of Hanif Mohamad, Fazal Mahmood, Imran Khan, Javed Miandad, Majid Khan, Zaheer Abbas, Wasim Akram, Abdul Qadir, Waqar Younis, Shoaib Akhtar, Younis Khan, Mohmmad Yousuf and others………..
Spectators have to wait 30 years more before seeing a new test playing nation when Srilanka played its first test against England in 1982. Srilanka lost the first test match , but it took only three years to make his mark as in 1985 they beat India in their 14th test match to record its first international win in test cricket. Since then Srilanka have also produced plenty of stars like Arjuna Ranatunga, Aravinda Desilva, Sanath Jayasuria, Muttiah Muralitharan, Kumar Sangakara, Mahel Jayawardene, Chaminda Vaas and others who have braced the international cricket. Ten years after Srilanka, Zimbabwe made their test debut when they lined up against India in 1992 and became only the second team after Australia in inaugural test to remain unbeaten in their first outing to test cricket. They have managed to draw the test match & did it with some pride. Bt they have to wait for about three years to register their first ever test win in 1995 when they beat Pakistan in their 11th Test. Zimbabwe’s journey in international cricket remains disturb due to political interference and racism. But still they had given many starts to international scene with Andy Flower, Grant Flower, David Houghton, Heath Streak, Brendon Taylor are the most renowned ones. In 2000 Bangladesh Played their first test against India to become 10th test playing country. Although they lost to India after showing some good early signs. The international cricket was not a roller coaster ride for Bangladesh as they lean the tricks and trades of test cricket in a hard way. They loose 34 test matches before registering their first win against Zimbabwe in 2005. Bangladesh have a shorter journey but likes of Shakib Alhsaasn, Mushfiqur Rahim, Tamim Iqbal & Mohammad Ashraful have showcased their talent in internal arena. Now Ireland is the only test plying nation who is looking to record its first win in longest format of the game.